Flatbread Sandwiches return to Taco Bell this month and look to stick around for a month or two. 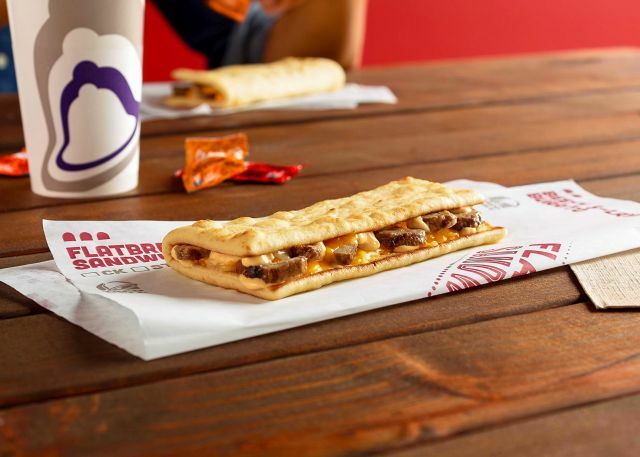 Available for $1.49, you can choose from steak or grilled chicken, which is then folded in a warm flatbread along with creamy chipotle sauce and three-cheese blend. They first introduced these back in 2010 and put out a Bacon Ranch version in 2011 as well as a bigger steak version but haven't brought back the original until now (they also tested a grilled version but that hasn't panned out as of yet).